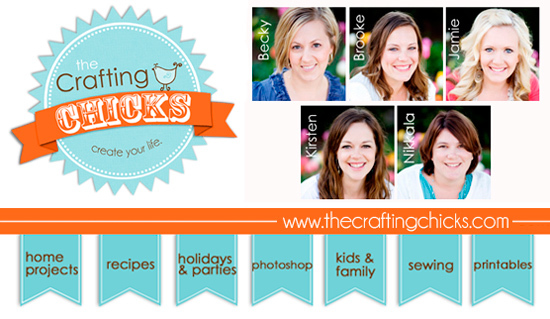 Hi, I'm Brooke, one of The Crafting Chicks! I'm so excited for Amanda and her new little bundle. 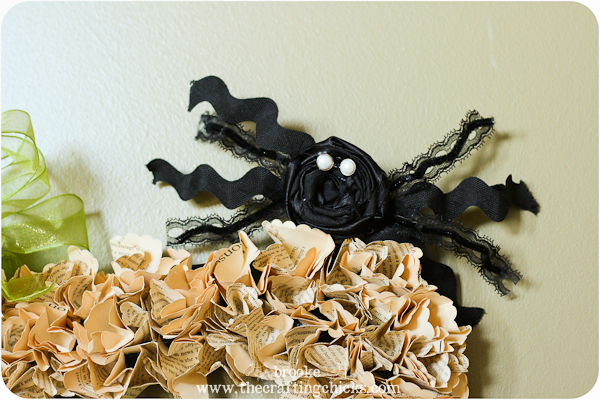 :) I'm also happy to be here on Every Creative Endeavor to share a fun little Halloween project with you: my FABRIC ROSETTE SPIDER! 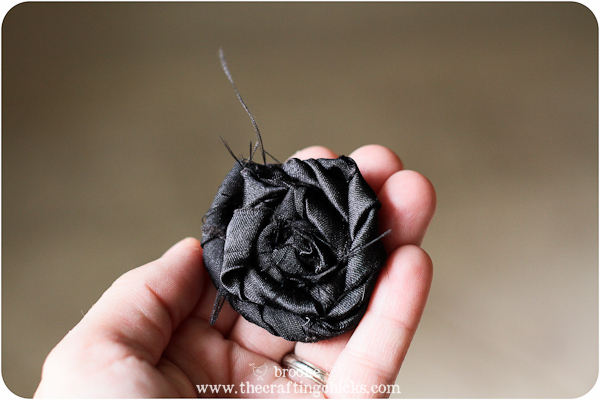 For the legs, twist 4 pipe cleaners together and hot glue them to the back of the rosette. Then I covered them by hot gluing another small circle of felt on top of the pipe cleaners (not shown). 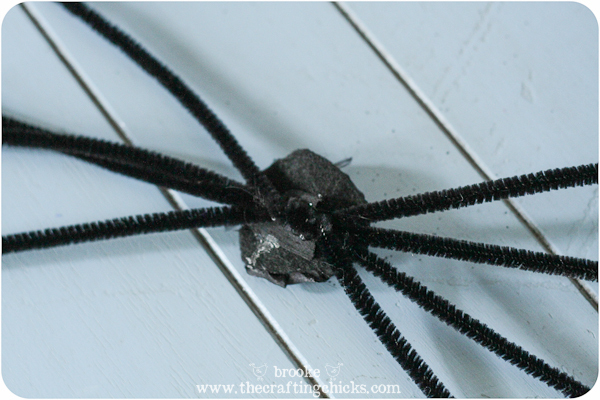 I also made another spider a little more fancy-ish by using black lace and thick black ric rac for the legs---I glued black pipe cleaners on the black of the lace and ric rac to add stability and so I could bend the legs a bit. I made the rosette larger and used pearl brads for the eyeballs. I think it's a cute little critter, especially because of the pretty fabric rosette and sparkly eyes. 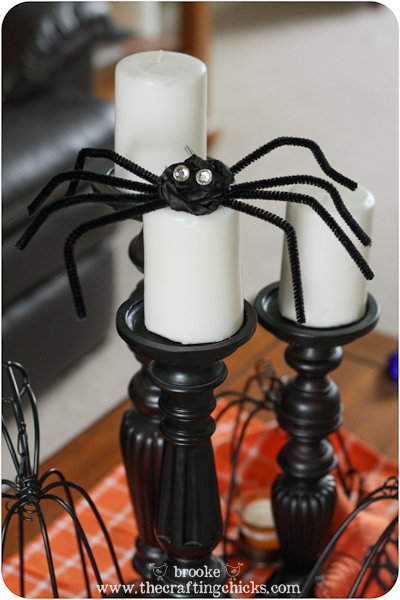 :) It's an inexpensive and quick project that's perfect for Halloween. These would be fun to make with your kids or an activity days group (with supervision while using the hot glue of course!). 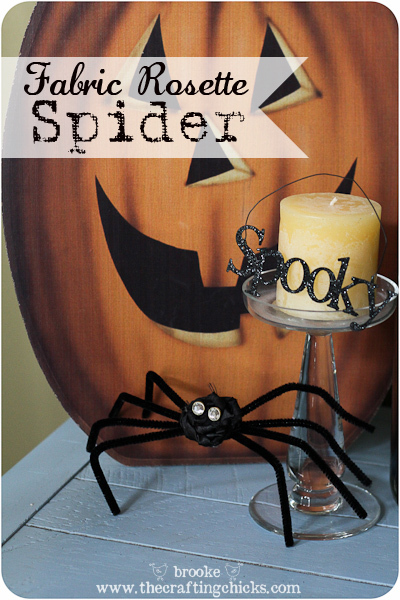 Add some string or even more lace to hang the spider on the wall or from a chandelier. 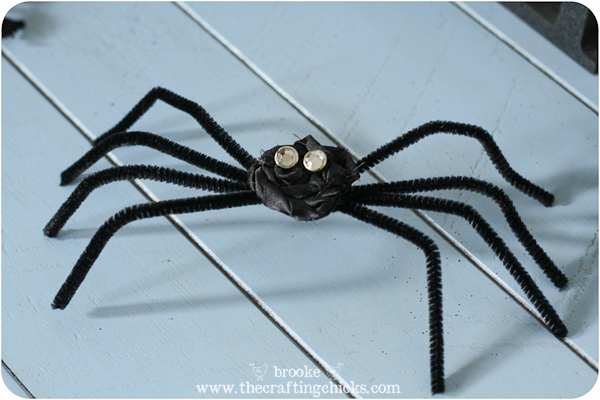 You could also make some spiders using different colors of fabric and pipe cleaners or ric rac--lots of possibilities! HAVE FUN! Thank you so much Brooke! 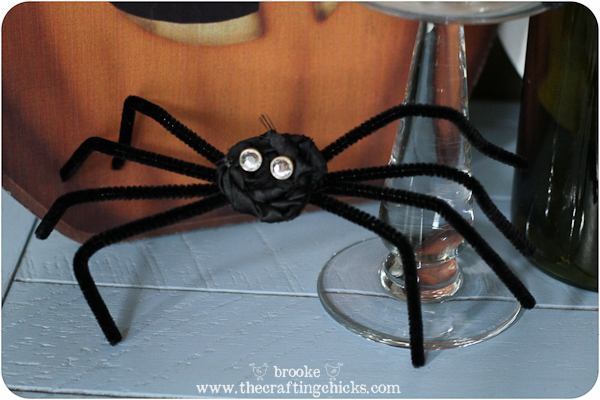 These little spiders are so cute and would be great for kids to make too! !